Mendelssohn once said, "The most natural music of all occurs when four people go out together in the woods or in a boat, and carry the music with them and inside them!" These pieces for chorus, sparkling musical miniatures, are perhaps the fi nest illustration of this profession of artistic faith. 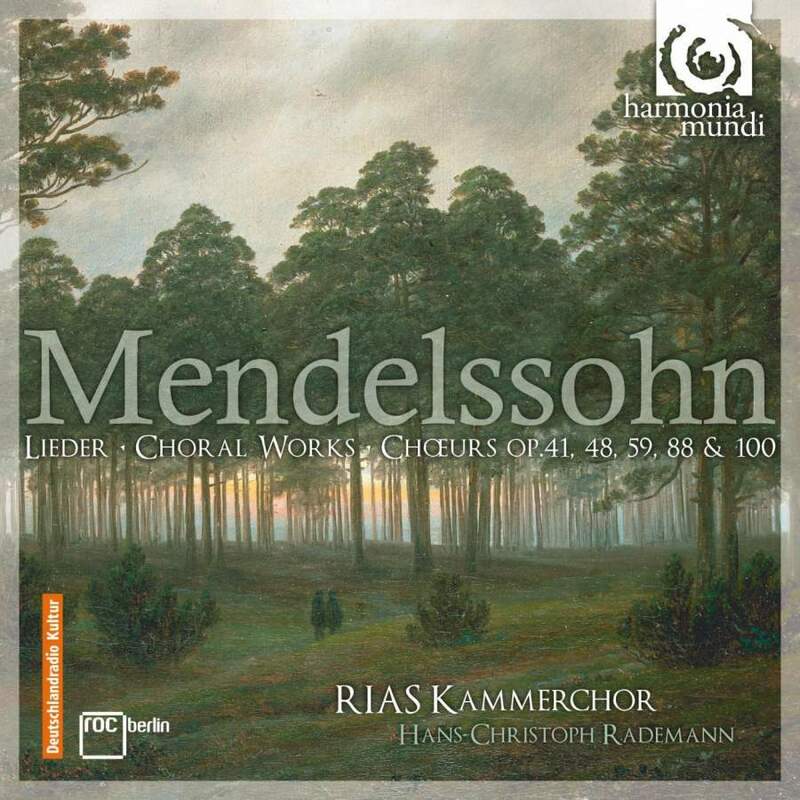 Mendelssohn's lovely choral music tends to get overshadowed by that of Brahms and by Mendelssohn's own works in other genres. This disc makes a strong case for a reassessment of the musical merit of his work in this genre. Berlin's RIAS-Kammerchor has established itself as a world-class ensemble which owes its reputation chiefl y to the performance of a cappella works. Led here by their new principal conductor, Hans-Christoph Rademann, the group continues its tradition of heartfelt music making.